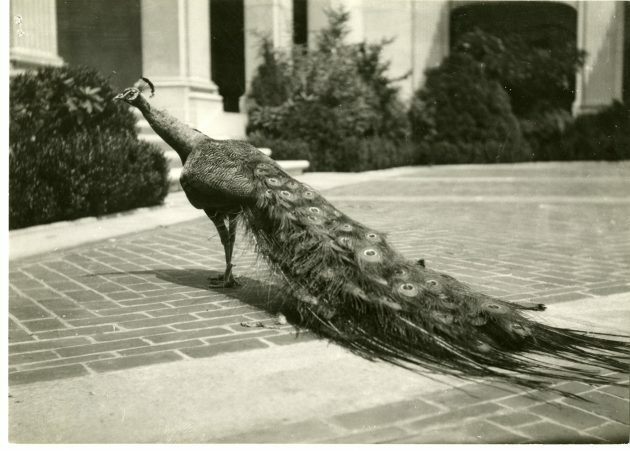 The first time the Freer Gallery of Art opened in 1923, live peacocks roamed the courtyard. The three birds resembled the décor of James McNeill Whistler’s Peacock Room, a highlight of the new Smithsonian gallery. Donated by the National Zoo, the peacocks moved back to the Zoo in the winter for safekeeping and returned to the Freer in the spring. They remained fixtures in the Freer courtyard in the 1920s. Today, the Smithsonian’s Freer and Sackler Galleries together form the national museum of Asian art. Both are reopening Oct. 14 after renovations and a revitalization of their spaces. This time around, visitors can experience where Asia meets America through reinstalled collections and four new exhibitions, along with a weekend-long festival of Asian art, food, and cultures. 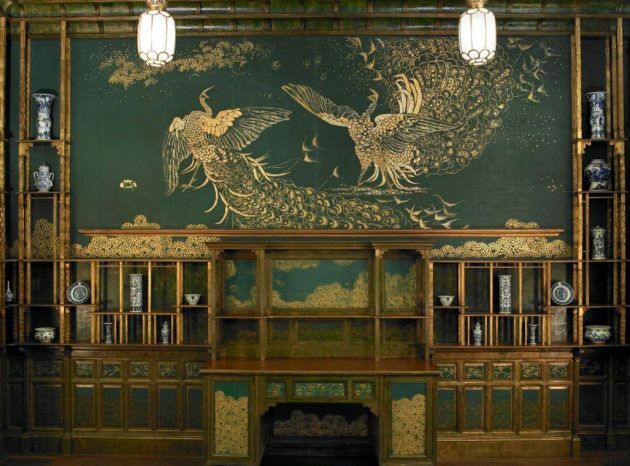 The Peacock Room is among thousands of pieces of art Charles Lang Freer collected in his life, which include significant numbers of Chinese and Japanese works, along with objects from India, Korea, the ancient Near East and Egypt and the world’s largest collection of art by James McNeill Whistler. 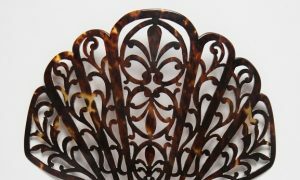 Freer gave his collection to the nation before his death in 1919. 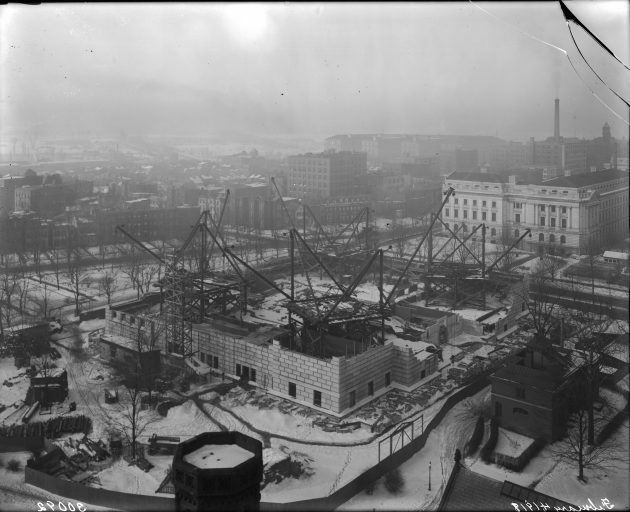 Construction started on the Freer Gallery of Art in 1916, and after a delay due to World War I, the gallery opened to the public on May 9, 1923. 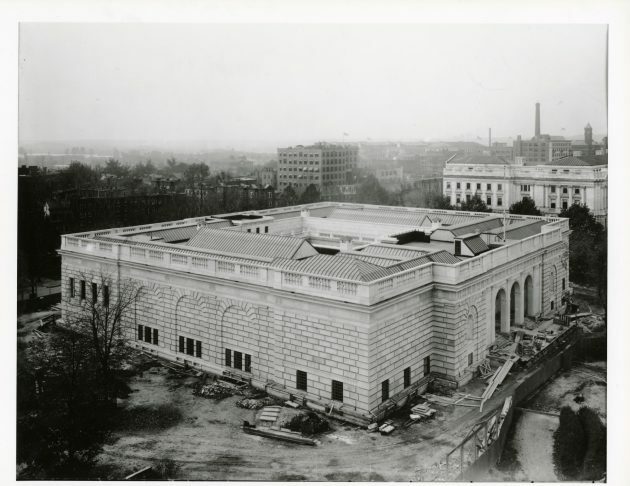 Since then, the Arthur M. Sackler Gallery was founded with Dr. Arthur M. Sackler’s donation of about 1,000 works of Asian art. It opened in 1987, and hosts changing international loan exhibitions and as well as rotating displays of objects from the collection—which you can see along with the reimagined Freer on Oct. 14.